Happy Friday, Boskone fans! We’re only a few weeks away from this year’s convention and it’s going to be a treat! Get in the mood by catching up with our new group of mini interviews. 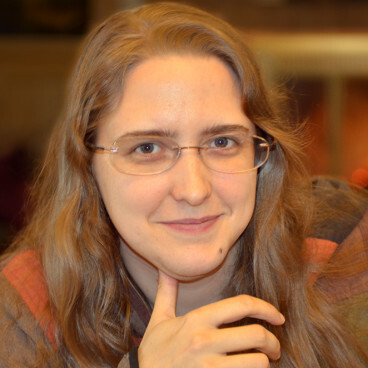 Kate Baker is the Podcast Director and Non-fiction Editor for Clarkesworld Magazine. She has been very privileged to narrate over 350 short stories/poems by some of the biggest names in Science Fiction and Fantasy. Since joining the Clarkesworld staff in 2009, she has narrated over 300 stories (1 Million+ words) and the Clarkesworld Podcast has been downloaded over 2 million times. She has been nominated for a Parsec Award, and a World Fantasy Award. Kate won the Hugo Award for Best Semiprozine in 2011 and 2013, the British Fantasy Award for Best Magazine in 2014 and the World Fantasy Award for Special Award: Non Professional in 2014 alongside the wonderfully talented editorial staff of Clarkesworld Magazine. Kate has also read for various other audio venues such as The Dark, StarShipSofa, Escape Pod, Nightmare Magazine, Mash Stories, The Drabblecast and Cast of Wonders. Kate is currently situated in Northern Connecticut with her first fans; her wonderful children. She is currently working as the Director of Operations for the Science Fiction and Fantasy Writers of America. Find Kate online at her website, Facebook and Twitter. I’ve been to a lot of conventions in my life, but it was really Boskone that pulled me into this particular community. I had dressed up as Dana Scully and attended an X-Files convention when I was a teenager and went to a few Star Trek conventions too, but Boskone is where I really fell in love with consuming all sorts of science fiction and fantasy again. The programming has always been engaging and the whole convention is really well-run. What event or experience stands out as one of those ‘defining moments’ that shaped who you are today? I don’t believe in that one, magical defining moment. We are the sum of all them. From making a choice to join a popular MMO and meet a future best friend, recording their short story effectively launching this narration career, to reaching out to a few favorite authors and professionals for advice–I do notice a trend. These moments tend to happen when I took a deep breath and jumped in despite being nervous or afraid. Aside from my narration work for Clarkesworld Magazine, I’ve jumped back into writing again. I sold my first qualifying story a few months ago with publication imminent and have several others that I’m going to release onto the world. I’m truly excited because I believe that skills translate across many professions. My time as a narrator has helped me be a better writer in terms of flow, plot, and structure. Ada Palmer’s first science fiction novel Too Like the Lightning (volume 1 of Terra Ignota, from Tor Books) explores how humanity’s cultural and historical legacies might evolve in a future of borderless nations and globally commixing populations. Its sequel Seven Surrenders comes out a few days after Boskone, so there are hopefully copies in the dealer’s room. Ada teaches in the University of Chicago History Department, studying the Renaissance, Enlightenment, classical reception, the history of books, publication and reading, and the history of philosophy, heresy, science and atheism, and is the author of Reading Lucretius in the Renaissance (Harvard University Press). She often researches in Italy, usually in Florence or at the Vatican. She composes fantasy, SF and mythology-themed music, including the Viking mythology musical stage play Sundown: Whispers of Ragnarok (available on CD and DVD), and often performs at conventions with her vocal group Sassafrass. She also researches anime/manga, especially Osamu Tezuka, early post-WWII manga and gender in manga, and worked as a consultant for many anime and manga publishers. She blogs for Tor.com, and writes the philosophy & travel blog ExUrbe.com. Find Ada online at her website, Facebook and Twitter. The incredible gathering of authors, editors, publishers and other professionals that come every year. So many amazing industry people come to Boskone, I would say that only Readercon and Worldcon itself can rival it as places to hear groups of people with their fingers on the pulse of the industry talk about the latest trends, themes and ideas. Even the conversations that happen in the lobby are often more exciting than panels at many other cons! I was 16, squatting on the floor of the library going through the complete works of Freud. We had just read Freud’s Civilization and its Discontents in class, and I read about his concept of the “Death Instinct” and remembered thinking about a documentary I’d seen about WWI and it felt to me like he wouldn’t have had such an idea before WWI. So I went to his complete works and searched and searched the pre-WWI stuff and, indeed, the “Death Instinct” wasn’t there. It was the first time I had really seen how events influence ideas, how even the most important fundamental concepts that we all depend on in daily thought have a history, and came into being, not out of raw speculation, but because of specific historical events influencing specific people. That was the beginning of my fascination with the history of how events and ideas shape each other, which came to be both why I became a historian, and how I go about my world building, thinking about what the major concepts of the world are and what events must have happened to shape them that way. Rock Holmes (aka. Makube Rokuro), a character from the works of God of Manga by Osamu Tezuka. Tezuka’s universe has a modified Buddhist reincarnation-based metaphysics, so he has his characters reincarnate in different stories, so the actions of one have karmic consequences in another. Rock appeared in more than 90 different Tezuka stories, from “Astro Boy” to “Phoenix” and “Black Jack” and over the course of them Tezuka creates an amazing series of parallel lives in which Rock comes face-to-face with the cruelty of the metaphysics and has to choose whether to try to rebel against it. It’s an amazingly intricate structure for a multi-story story, and once you have seen ten or so versions of Rock his story is so powerful that sometimes Tezuka can have him appear only in a single panel and you can fill in the whole rest of his life before and after that moment from your knowledge of his character. It’s an amazingly trusting kind of storytelling, working with the reader’s knowledge and memory, very unlike anything else I’ve seen done with reincarnation or multiple versions of a character. And I LOVE metaphysics, the more the better! 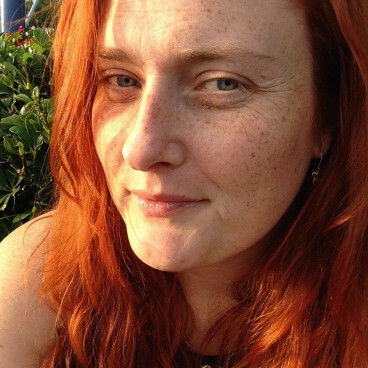 Victoria Sandbrook is a fantasy writer, freelance editor, and Viable Paradise XVIII graduate. Her first story appeared in the anthology, Swords & Steam Short Stories (Flame Tree Publications, 2016). 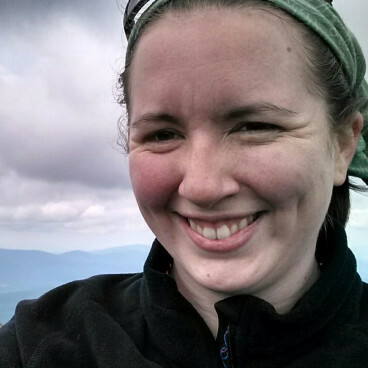 She is an avid hiker, sometimes knitter, long-form talker, and initiate baker. She is often found loitering around libraries, checking out anything from picture books to monographs. She spends most of her days attempting to wrangle a ferocious, destructive, jubilant tiny human. Victoria, her husband, and their daughter live in Brockton, Massachusetts. She reviews books and shares writerly nonsense at victoriasandbrook.com and on Twitter at @vsandbrook. Boskone has always been the place where my family, friends, and passion intersect, and because of that the conversations–on panels and elsewhere–are what keeps me coming back. There are very few times of the year when I can talk the latest Netflix binge, out-of-print pulp fiction, this year’s award nominees, and how my writing sprints went last week all at once. And there are equally few times during which I see most of my local writer friends, fellow workshop alums, authors and editors I admire, and my family all in the same space. It’s like my geek version of the perfect, 3-day long dinner party. I’ve got a few short projects in the works, but the big thing I’m tackling is my novel in progress, a gaslamp fantasy novel set in an alternate 1869 New Hampshire. Botany, fairies, steampunk tech, and Mount Washington. I think the challenges of this book have been the high points, really. My main character is a scientist who finds out that fairies are real: that alone makes it much different than the fantasy novel I set out to write. But I’ve also had to do my homework. I’ve researched everything from Abenaki history, language, and culture to cell biology to early 19th-century botany and patents. This isn’t a book I’ve wanted to do half measure, so even the tough spots have had their own value.